5 REASONS TO CHOSE US! Ranges in the services that we offer. Whether you are looking to install sod or retaining wall to even renovating your complete property. CLS can help in the designing, planning, and installation of your Landscape Project. 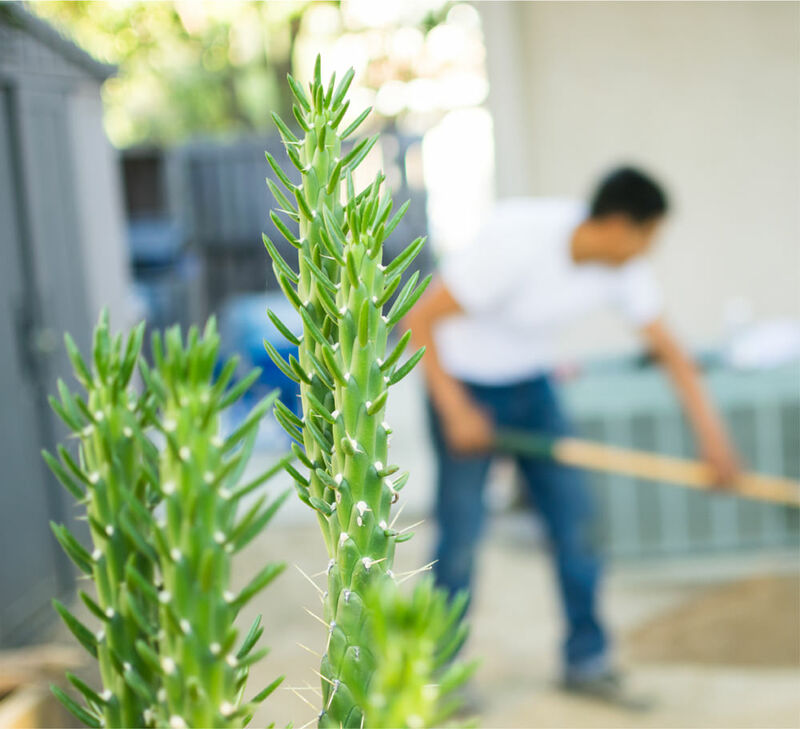 We offer weekly & bi-weekly General Maintenance services to Commercial clients, that help ensure there Landscape investment is managed properly. Services included Mowing, Edging, Blowing and Broadleaf management. Colored Concrete, Stamp Concrete, are all options that are available to you by CLS. RV Pads, Driveways and Custom Patios are what we enjoy to do. We are here to help provide you decorative concrete options for your property. Having Issues with your irrigation system? Our technicians can help in troubleshooting, installation and retroﬁtting your irrigation to help ensure you are as efﬁcient as possible. Concrete Landscape Services offers a Turf Management program to all Residential customers, that helps ensure there Landscape Investment is maintained. With monthly visits, CLS provides fertilizing, pre-emergent & broadleaf applications, aeration and herbicide spraying to help ensure your property thrives in all seasons! Concrete Landscape Services came over and provided a quick quote, great information regarding the services i was requesting and provided great service. I would use them again for my Landscape project. CLS and there team did a great job installing a backyard patio for me. They were on time, on budget, and cleaned up when the job was done. I enjoyed the interaction and quick response. Very pleased!! I am very happy with my experience with Aaron and his crew from Concrete Landscaping. They replaced my 500 sq. ft. lawn when other companies refused to even consider the job because it was too small. Aaron was very polite, arrived for appointments on time, listened to what I wanted done, kept me informed of schedule changes and worked my work schedule. HIs crew were easy to work with and accepted my input into the project as it progressed. I am very happy to have a beautiful lawn again and would recommend Aaron and his crew to anyone looking for landscape needs. Concrete Landscaping Services installed a retaining wall, sprinkler system and sod in my back yard. Arron Davis was the lead on the project and he was a great communicator and went above and beyond to assure I was satisfied with the entire project. I had informed Aaron that we had an important event scheduled for our back yard and Arron and his great crew even worked in the rain to assure the yard was ready on time. I recommend this company to all that appreciate high quality work at a reasonable price. Great Job CLS! They did a wonderful job with my rough and tumble, small backyard. Just as I asked, they turned my backyard into fresh bark, new sod and a walking trail and warm rocks for my dog to lay on! Concrete Landscape Services came to my house and trimmed trees, overgrown bushes and plants. They were very reasonably priced, clean and very professional. The staff were nice and did a great job. I would definitely use them again.